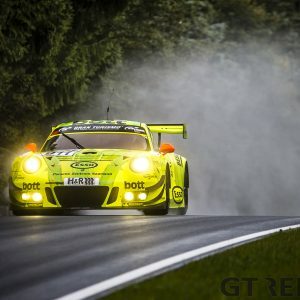 AutoArena Motorsport hasn’t had the luck or the performance to challenge for Nürburgring victory in all season long, but a change of fortune was in the air at the 50. ADAC Barbarossapreis. 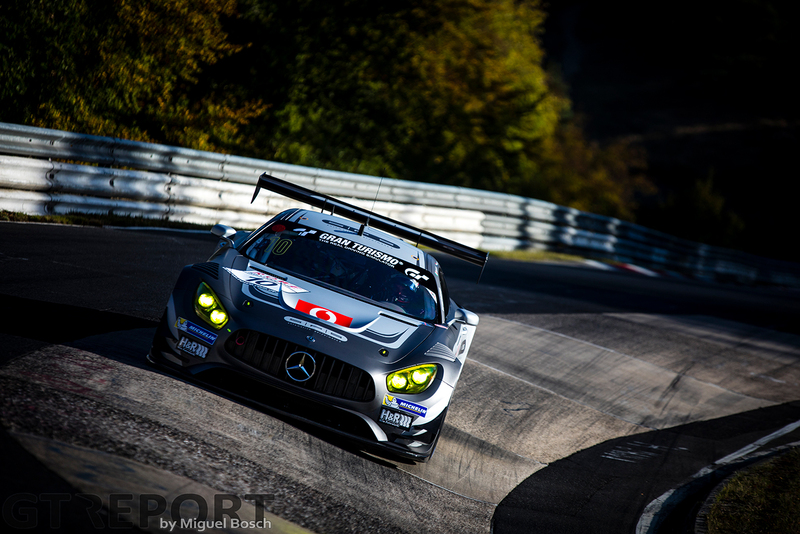 The Mercedes-AMG GT3 of Patrick Assenheimer and Dominik Baumann loomed in the background for much of the race, only to strike in the final half hour after a penalty struck the long dominating SPS automotive-performance Mercedes-AMG GT3. 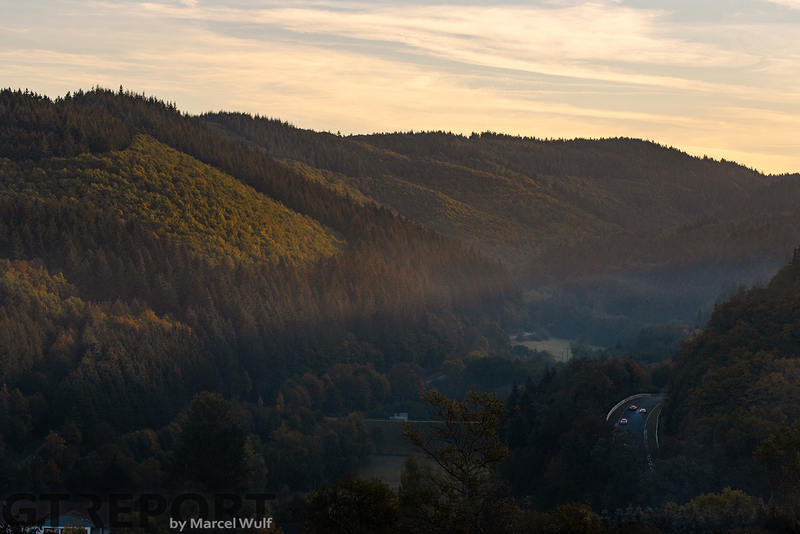 It’s a beautiful autumn morning in the Eifel when over 150 cars take to the Nordschleife for the morning qualifying session. Sun is shining and the skies are blue. But in the shadows lurks a treacherous danger: damp patches of tarmac left over from the cold night before catch out several cars, resulting in a messy start of the day. Through the yellows and Code 60s, Maxime Martin sets the quickest time: 8:31.359, over 5 seconds clear of the number 52 Car Collection Audi R8 LMS GT3 of Christopher Haase and Jamie Green. 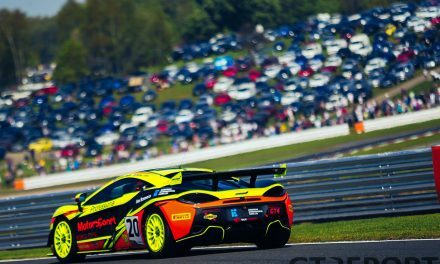 Both Martin’s Aston Martin Racing Vantage GT3 and the Audi, however, are 2019 GT3 prototypes entered in the SPX class which places them at the back of the grid of the first starting group. This leaves pole position to the BMW Team Schnitzer BMW M6 GT3 of soloist Augusto Farfus, who is moved up one row. 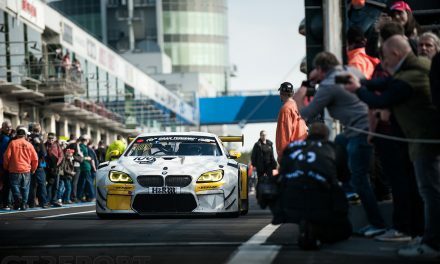 But the white BMW didn’t come here for glory either: like two weeks ago, the German team came to the Nordschleife for a tyre test in preparation of next year’s 24 Hours of the Nürburgring and at the end of the first lap immediately dives into the pits for its first tyre inspection. 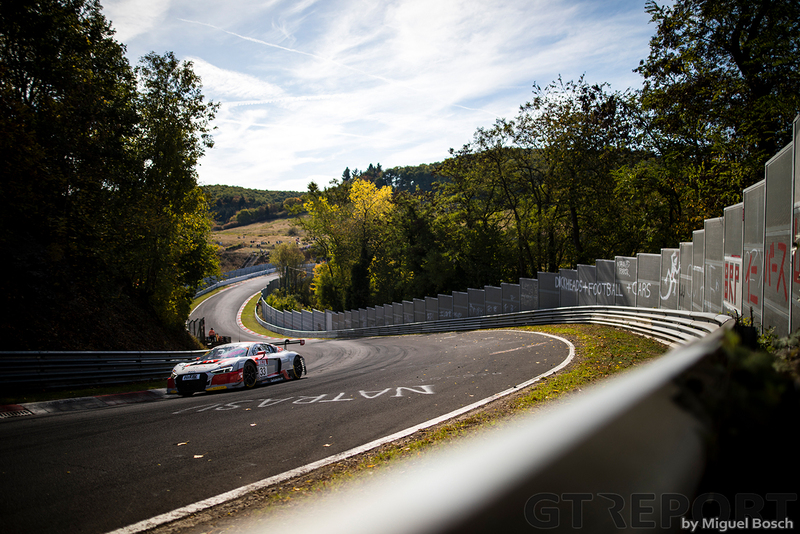 Endurance specialist but Nordschleife newcomer SPS automotive-performance inherits the lead. 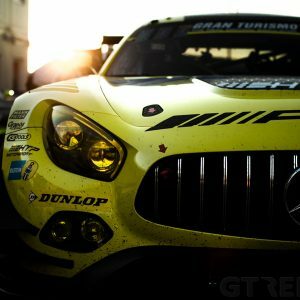 The number 10 SPS Mercedes-AMG GT3 team has brought out the big guns for its first attempt at the Eifel course with Renger van der Zande and Edoardo Mortara taking the wheel and former Haribo Racing key personnel calling the shots from the pit wall. Van der Zande has jumped from fourth to second at the start and pushes on. The Dutchman leads the race until the fourth lap when Nico Menzel comes flying past at Döttinger Höhe. 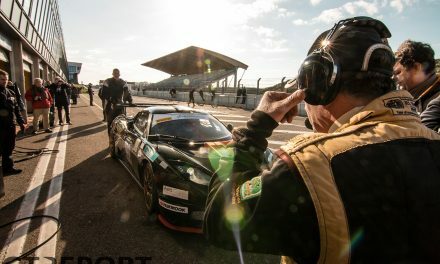 The young Wochenspiegel Team Monschau Ferrari 488 GT3 pilot has seen a lightning opening few laps in which he has steadily worked his way through the field from eleventh on the grid. After half an hour of high-paced racing he claims the lead. The Rinaldi Racing-ran Ferrari cycles back into second place after the first round of pitstops—losing the lead to Van der Zande as the AMG profits from a shorter minimum pitstop time due to an earlier pitstop. WTM is looking to challenge for victory when in the second hour Christian Menzel collides with a slower car and smacks into the guardrail at the fast Bellof-S section, ending the Ferrari’s race right then and there and sending the elder Menzel to the hospital for observation. The Ferrari’s retirement clears the way for SPS to drive to the win. In the second and third hour, Van der Zande and Edoardo Mortara extend their lead to the trailing number 13 AutoArena Motorsport Mercedes-AMG GT3 driven by Patrick Assenheimer and Dominik Baumann and the number 30 Frikadelli Racing Porsche 991 GT3R of Lance David Arnold, Felipe Fernández Laser and Klaus Abbelen. 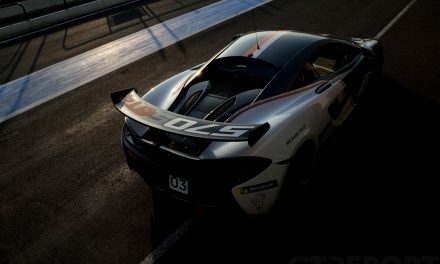 SPS’ dominance comes to a halt after the final series of pitstops: Mortara, leaving the pits for what he thinks is the final time, beats the minimum pitstop time by 0.9 seconds. 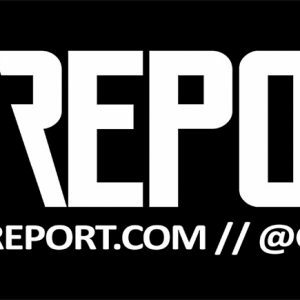 It’s not much, but it’s enough to warrant a 1-second stop-and-go penalty. Having been in total control of the race since the second hour, everything is turned upside down when Mortara’s lead evaporates. 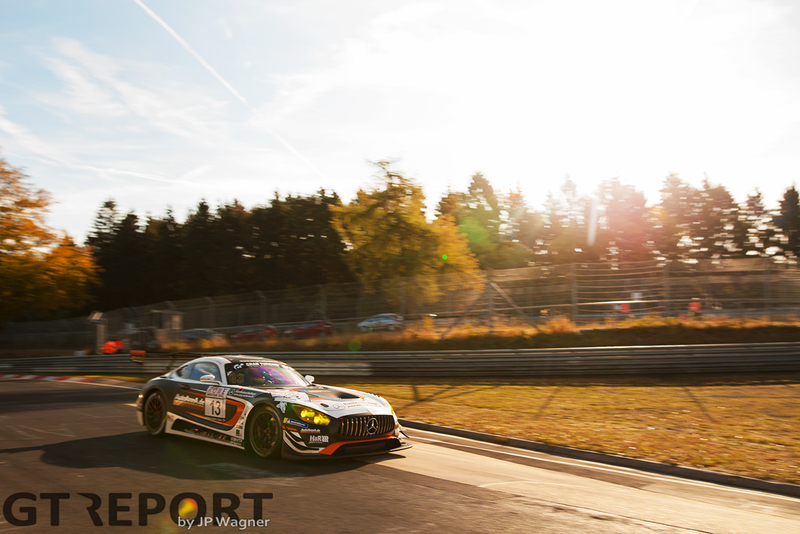 With the sun shining straight in his face, Mortara sees the silhouette of the black and white AutoArena AMG of Dominik Baumann when he rejoins the track after his penalty and goes in hot pursuit of the win. Now the hunter instead of the hunted, it’s up to Mortara to make up the deficit: 6 seconds separate the two AMGs. Working their way through traffic, Mortara can’t get any closer to Baumann. Sporting Michelin tyres rather than the Hankooks raced by AutoArena Motorsport in races prior, Baumann matches the Portuguese’s lap times and stands his ground until the very last meters. Despite losing several seconds on the final lap, Baumann brings the lucky number 13 to the finish with a good three seconds to spare. After 28 laps, the chequers flies for Baumann, Assenheimer and AutoArena Motorsport as they take their maiden outright VLN victory. Frikadelli Racing’s Pro-Am car, still holding on to an impressive third place going into the final hour, is also hit with a penalty. A breach of the yellow flag regulations—Lance David Arnold unknowingly speeds through a Code 60 Zone—serves the team from nearby Barweiler a hefty 150-seconds stop-and-go penalty. 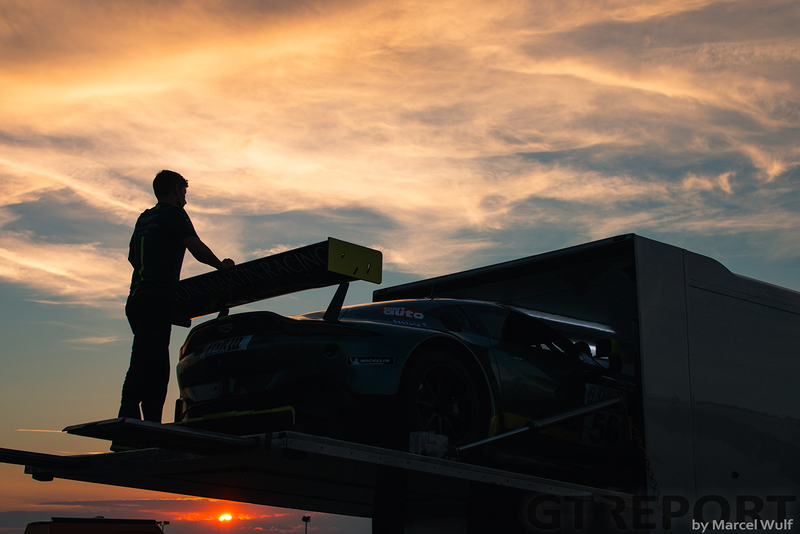 The Walkenhorst Motorsport BMW M6 GT3 raced by the international trio of Jordan Tresson, Jonathan Hirschi and Hunter Abbott moves up to the final step on the podium after a flawless race from fourteenth on the grid.